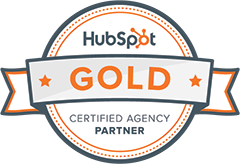 Business to business and inbound marketing are a surprisingly good fit. Many marketers in more traditionally sales-focused industries initially shy away from the concept, simply because it relies on techniques (such as social media and blogging) that don’t seem like a good match for the type of customers they look to attract. But, as HubSpot points out in this hypothetical conversation, 90% of B2B buyers begin their research on Google. B2B marketers who appear as experts through their content make it onto buyers’ short lists, a crucial step to gaining business. Moreover, because they rely on ongoing partnerships and mutual trust with customers rather than one-off purchases, businesses with professional audiences can benefit significantly from inbound strategies such as lead generation and nurturing. Here are 5 ways B2B companies can leverage inbound marketing. The first, crucial step of inbound marketing is creating the content that allows you to get found. As mentioned above, the vast majority of B2B buyers begin their research on Google. Through search engine optimized content such as blog posts, you can ensure that your website is among the first results that potential customers see. Of course, the content itself also matters. To maximise your inbound efforts, you should know exactly what type of content your audience is looking for. Are they interested in product comparisons in their industry, or more general industry trends? Answering questions like these allows you to not only optimise your content for specific search keywords and phrases, but also write content that positions you as a credible thought leader in your industry. Short-form content like a blog post is ideal to increase your SEO and get your audience interested. But especially for B2B audiences, more in-depth information about both your industry and your company is both valuable and necessary in making a buying decision. You could provide that information right on your website. In fact, you can gain significant credibility through doing just that. But to maximise your marketing, consider ‘gating it’ behind a sign up form on which visitors have to fill out their contact information before they can access the content. Doing so will turn valuable content into a lead generation machine. Now, you can promote the content threw teasers and snippets on blog post, while gating the most valuable parts as only accessible to leads. Not only will you increase the exclusivity of the content, but you will see new contacts enter your database that you know to be part of your target audience. Of course, leads matter little if you don’t follow up with more targeted information. Even a potential buyer who has shown interest in you by becoming a lead is probably not ready to sign a contract. They need to be nurtured, which is why inbound marketing is such a perfect fit for high-touch B2B industries like technology. Because you have their contact information, you can now send targeted communications specifically to interested potential buyers. Slowly but surely, you can nudge them toward being ready for a purchasing decision. If you engage in lead scoring, you can even estimate the exact moment your leads are ready to buy, optimising your sales efforts. Speaking of sales: it’s not uncommon for the sales and marketing departments of large technology firms to be separate entities. On its surface, that makes sense; the goal of marketing is to increase exposure of your company and products, while sales agents are first and foremost looking for the sale. But any marketing or sales professional knows just how much a close integration of marketing and sales can benefit both entities. Working together means providing a more consistent message, avoiding cognitive dissonance for your audience. According to one study, a close marketing-sales alignment results in 19% faster revenue growth, and 15% higher profitability. But allow the two to disconnect, and your marketing may begin to make promises that your sales team cannot keep. Unfortunately, only one third of B2B organisations consider their marketing and sales efforts to be closely aligned. Inbound marketing offers the perfect opportunity to synergise marketing and sales. The above-mentioned lead nurturing and scoring techniques help sales agents maximise their effectiveness. Meanwhile, a unified CRM allows both departments access to the same information, ensuring more consistent communication. HubSpot found that regardless of industry, budget is a major concern for marketers – and that concern only grows with company size. In fact, 51% of companies with more than 200 employees stated their budget to be a major challenge in finding marketing success. Optimising your money spent is key, which is why the measurability of inbound marketing can be so beneficial; the same study found that determining ROI to be the single biggest marketing challenge regardless of company size. Every step of the inbound sales funnel, from web visitor to lead, sales-qualified lead, and customer, is easily measurable. Because the buying journey in large part takes place online, you can determine exactly how many customers your individual inbound marketing efforts generate. That, in turn, allows you to make informed decisions about where to spend your money to maximise your marketing success. In short, inbound marketing may not seem like an obvious fit for some B2B marketers at first. But used correctly, it can play a major part in helping you attract buyers and grow your technology business. Use it correctly, and your efforts can both become more efficient and measurable, maximising your budget and efforts.